Virucidal, fungicidal and bactericidal, this multi-purpose, hospital disinfectant cleans and disinfects hard, nonporous surfaces. The economical, concentrated formula makes up to 256 gallons (1:256). Use on floors, walls, glazed porcelain, plastic surfaces (such as polypropylene, polystyrene, etc.) and other hard, nonporous surfaces. 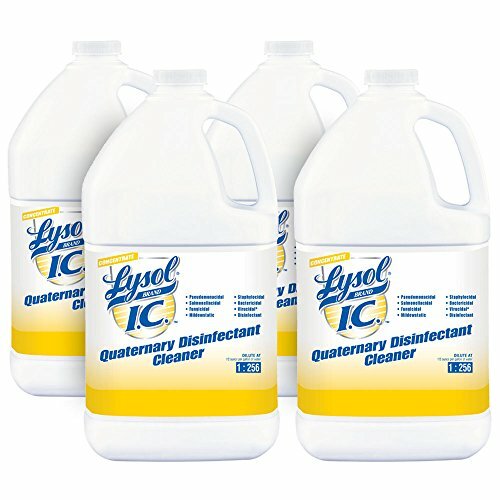 If you have any questions about this product by Lysol, contact us by completing and submitting the form below. If you are looking for a specif part number, please include it with your message.